For years I have been having baked ricotta cheesecakes at parties at my cousins house. I love them. But I could not figure out how to make them. Then one day I came across this recipe and was amazed at how simple it was to make. 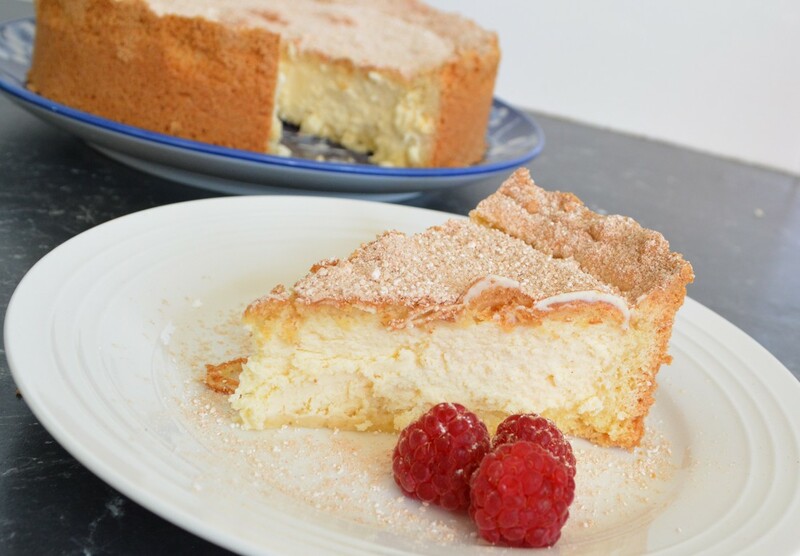 I love the creaminess of the ricotta filling, and the pastry, it holds it shape perfectly. For me, this is one of my favourite desserts of all time. To avoid lumps take the cream cheese out of the refrigerator, leave it in its pack to soften 2 hours before needed. If you are short on time, chop it up into chunks and leave to soften for 1 hour. This is my kind of cheesecake. Preheat the oven to 160C/140C fan forced. Place a baking tray in the oven. Release the base from a 20cm (base) springform pan and turn over. Place baking paper over base, allowing some overhang. Secure the base, paper side up, back in the pan, secure into place-you may need to push the base up a bit to help it secure into place. Spray the sides of the tin with the cooking spray. For the pastry: Place the flour, cornflour, sugar and butter in a food processor. Blitz it until the mixture resembles fine breadcrumbs. Add in the egg and milk. Blitz it until the mixture just comes together. Remove 1/3 of the dough (I weigh it, to be accurate), wrap it in baking paper, refrigerate until needed. Roll the remaining 2/3 of the dough between 2 sheets of baking paper until 5mm thick and about 30cm round. Remove the top layer of baking paper. 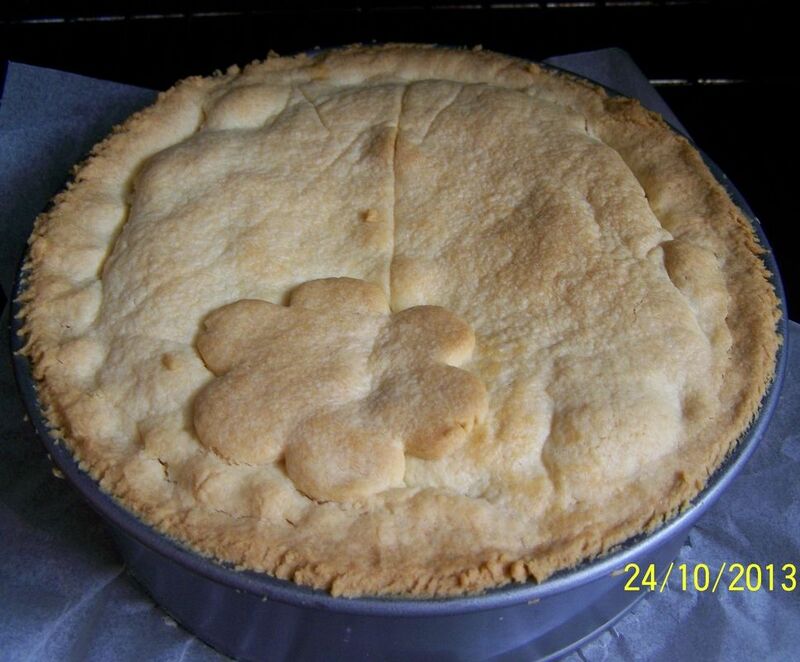 Carefully flip the pastry into the tin, dough side down, remove the baking paper off gently. Guide the dough into the tin. If it cracks don't stress, as you are pressing the dough around the tin, any bits that overhang out of the tin can be cut off and pressed into any gaps. Refrigerate. For the filling: Using an electric mixer, beat the ricotta, cream cheese, sugar and vanilla until smooth. Add the egg, beat until combined. Spoon the mixture into the prepared pan. Roll the remaining dough between 2 sheets of baking paper until 5mm thick and about 25cm round. Remove the top layer of baking paper. 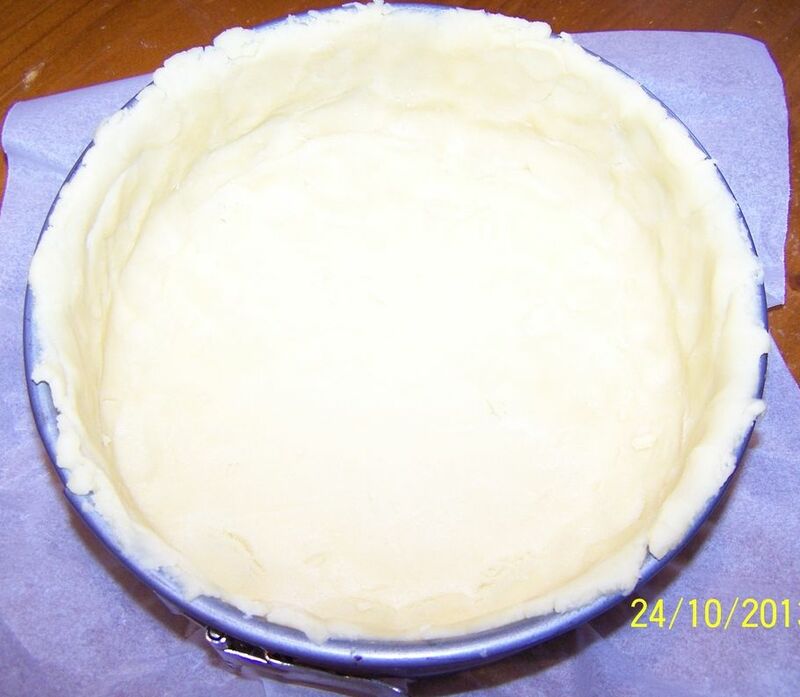 Carefully flip the pastry into the tin, dough side down, remove the baking paper off gently. Press the edges together to seal, trim off any excess pastry. 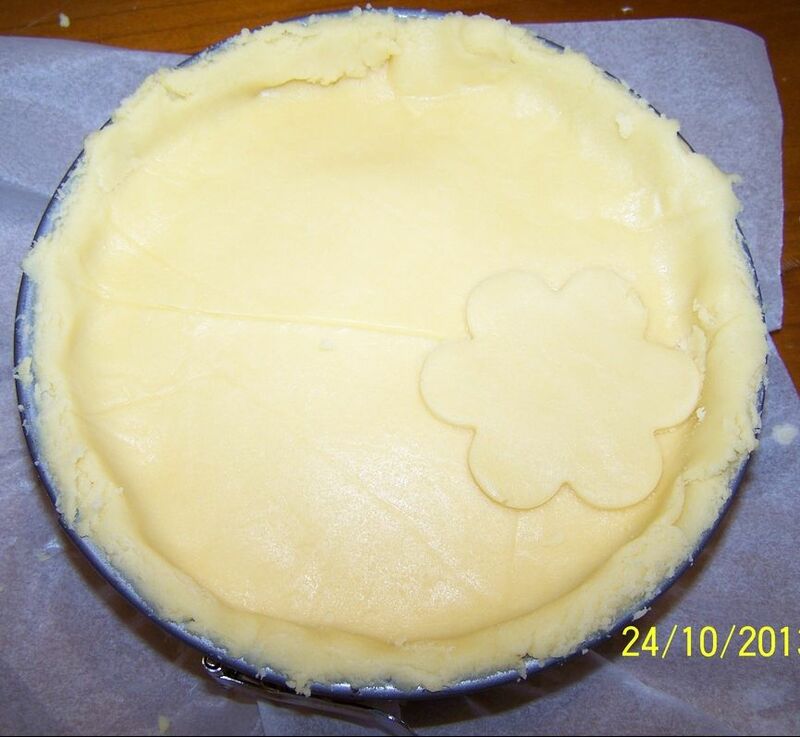 If your pastry cracks on top, use the excess pastry to cover it up. I rolled the excess pastry then cut out a flower shape, no cracks, looks pretty. Place the pan on the hot baking tray, bake for 50 minutes or until golden. Turn off the oven and allow to cool in the oven with the door ajar for 4 hours. Refrigerate overnight. To get the cheesecake out of the tin in one piece. Release the springform tin, just a little. 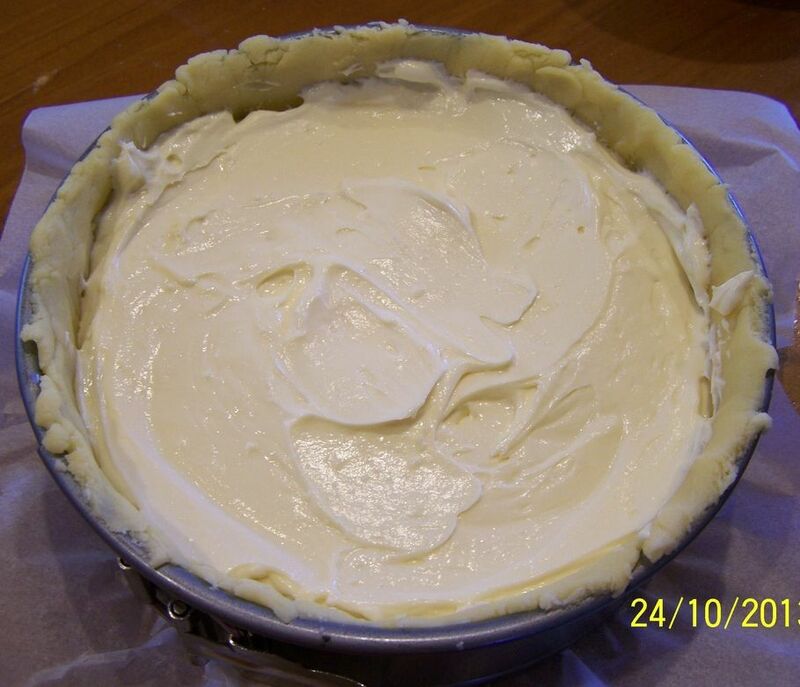 Carefully run a palette knife around the edge of the cheesecake to help release it from the pan. Then you can release it slowly all the way. If you release it too quickly the pastry will break. 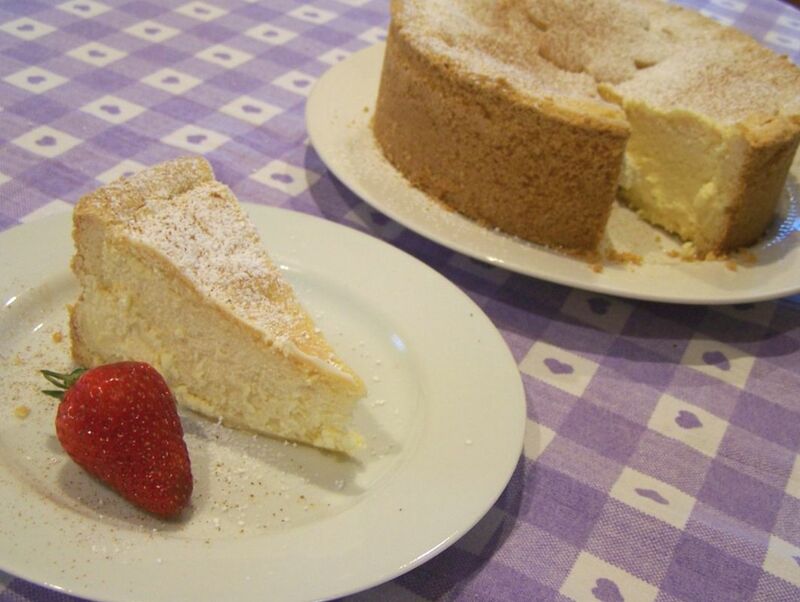 Dust cheesecake with icing sugar and cinnamon.